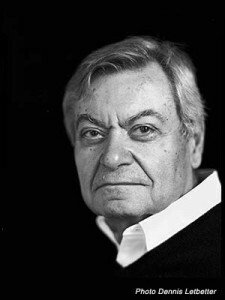 Alain Bertaud ( 阿兰·柏图 ) is an urbanist and, since 2012, a senior research scholar at the NYU Marron Institute of Urban Management. He just completed writing a book about urban planning that is titled “Order Without Design: How Markets Shape Cities“. This book has been published by MIT Press in November 2018. Bertaud previously held the position of principal urban planner at the World Bank. After retiring from the Bank in 1999, he worked as an independent consultant. Prior to joining the World Bank, he worked as a resident urban planner in a number of cities around the world: Bangkok, San Salvador (El Salvador), Port Au Prince (Haiti), Sana’a (Yemen), New York, Paris, Tlemcen (Algeria), and Chandigarh (India). Bertaud’s research, conducted in collaboration with his wife Marie-Agnès, aims to bridge the gap between operational urban planning and urban economics. Their work focuses primarily on the interaction between urban forms, real estate markets, and regulations. As an urban planner, my goal is to translate the theories (and sometimes the jargon) and equations of urban economists into approaches and methods which can lead to concrete decision making in the everyday world of an urban planning office. The following reports and papers, always produced at the request of a municipality or of an urban investor (mostly the World Bank), illustrate these new approaches and methods. I have written these reports and papers over a long period. I am updating this site regularly with new work. However, I am keeping the older reports available on this website because it is always interesting to know how priorities and strategies have changed over the years. Política del Suelo y vivienda: la experiencia international”. India: “Mumbai FSI/FAR Conundrum” Should Mumbai FSI (FAR) be increased? who will benefit? South Africa: “Gauteng urban spatial structure Evolution of population densities since 1990 “Could a new transport network accelerate the evolution of Gauteng spatial structure toward “normalcy”? PROSTOROVÁ STRUKTURA STŘEDO -A VÝCHODOEVROPSKÝCH MĚST: JSOU VÍCE EVROPSKÁ NEŽ SOCIALISTICKÁ? Land use and financial models are used to test the feasibility of large land development projects. They can also be used to test the affordability of land use regulations. They allow trade off between many different parameters, land use, land use intensity (FAR), rate of interest, scheduling of works. They should be used from the early design stage to completion of the project. They should not be used after design is completed but in parallel with design. A number of models used in real projects in real cities are presented here. Each model is different from the other reflecting the different issues faced by the land development project. This graph shows the difference in a city’s spatial structure between Moscow that was “designed” by a central planning organization and Paris that was shaped mostly by market forces. Although densities are lower in Paris than in Moscow, commuting distance are much higher in Moscow because of the differences in the density profile (most people are farther away from the center in Moscow than in Paris). Because of the large differences in densities between Atlanta and Barcelona about the same length of metro line is accessible to 60% of the population in Barcelona but only 4% in Atlanta. The low density of Atlanta render this city improper for rail transit. In Yemen in 1972, Alain Bertaud and two assistants surveyors tracing new streets for the expansion of Saada, in the north of the country.